Pardon me, which of these should i use? 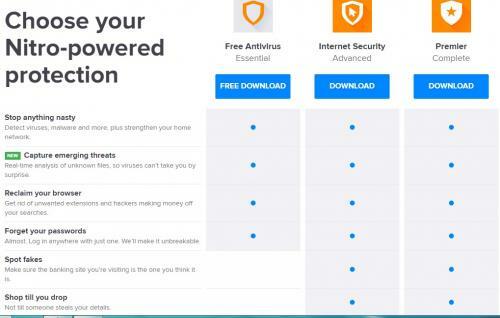 Free Antivirus is what I was recommending (for a Free to use, non-paying solution). The first one will do you just fine. I already uninstalled the SMADAV AV, then installed Avast Free. even before when my Windows Update was ON, i think my system is getting slower, is it possible that i has anything to do with that? Just like now, after i made all of these changes, Suddenly i felt that my system got slow and Sometimes it hangs on which none of it happened before all of this updates and changes or installation of such additional software. Please don't get me wrong, im not complaining or anything like that, i'm just puzzled on why suddenly my system hangs when all i do was only watching on Netflix on Chrome, and no other applications were open, at least 3 tabs are only open on my browser on which were all fine before. So can you please help me on this one. Because before, when my Windows Update are On and after the updates this usually happens and sometimes i have no other choice but to force shut down, and do a system restore just to bring back my laptop from it's previous state before the updates and all the hanging involved. Again, sorry for these additional questions and problems, and thanks for the patience. BTW, windows updated last night with 180 updates, so it took a while so i leave it before i went to sleep. "Failure configuring Windows updates Reverting changes Go not turn off your computer." so i leave it there, and it took some time but it opened eventually, can you enlighten me with these kind of things? And is it harmful if i would just turn off the Windows Updates? Lots of thanks my friend. Either of these will let you control how many updates are being loaded at one time. I would only do about 10 or 15 updates at a time to let the changes to the system "settle down" before moving onto the next round of updates. As to the slow down / stalling, this may be due to disk fragmentation. In Explorer.exe, right click on the C: drive and select Properties. Under Tools, click on Optimize to optimize and defragment your drive. i have tried to uninstall Avast, then tried the Other one, Microsoft Security Essential, But when i'm trying to download the updates, it always got stuck to 25% then i had to close it thru task manager, it also got my browser Chrome slower, so i had to uninstall and put back avast. Is it because of my browser? other installed software? or maybe something else? You can try Resetting / re-Installing Chrome to try and fix the hanging there. Enter the keyboard shortcut (Windows key + E) to open Windows Explorer. Note: Save the download file to your desktop for easy finding later. To do so, left clicking on the name once and then click Uninstall/Change at the bar above the list window. Follow the prompts of the uninstaller BUT please read carefully any questions it asks before answering; some uninstallers will try and deceive you into keeping the software. Double click on the install file on your desktop (from the First step) to run the installer. Please use Chrome after the installation and check for any problems. You've helped me a lot!